Sacramento labor leaders and union members are helping to lead the fight for affordable housing in the city, a crisis for working families who increasingly struggle to pay rapidly rising rents. 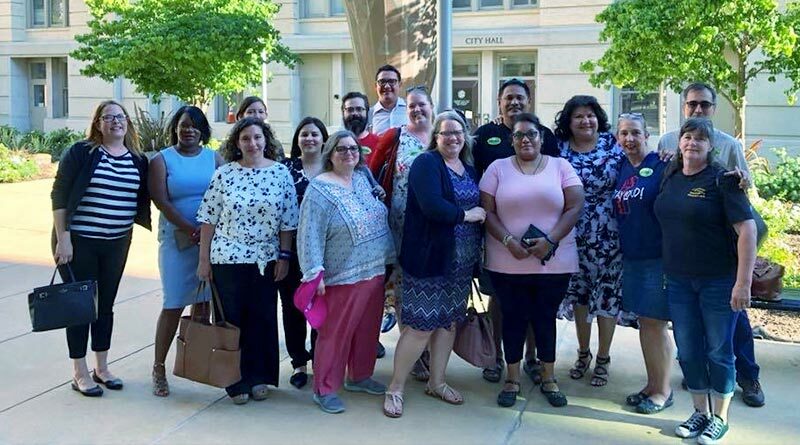 The Sacramento Central Labor Council is working with a coalition of partners led by Housing 4 Sacramento, which authored the Sacramento Renter Protection and Community Stabilization Charter Amendment, to help ensure the city prioritizes fair housing. Legislation proposed by the coalition would provide a fair and important solution to skyrocketing rents in Sacramento, and the displacement of working people from key neighborhoods. It includes curbs on how much rents can be increased. Under the proposed rules, landlords could set initial rents at market rates but increases would be tied to the consumer price index, with a maximum of 5 percent. Security deposits couldn’t be increased, and tenants could petition for a decrease in rents if landlords fail to maintain the units in “habitable” conditions. The legislation would also mandate “just-cause evictions,” to ensure renters are not kicked out simply so landlords can increase profits. If landlords do evict someone based on nine permissible criteria, they could be required to provide relocation assistance of at least $5,500. More than half of Sacramento residents are renters, and 80 percent of those people make less than the median income, making rent stabilization a necessity, said Sasso. “Sacramento needs a comprehensive solution to our housing catastrophe, including reasonable rent stabilization, which will cost taxpayers nothing,” he wrote in The Sacramento Bee, with housing advocate Michelle Pariset. The push for local control of rents comes at the same time that advocates are working for a statewide fix to rising rents. Housing advocates collected signatures for a November ballot measure that would repeal the states anti-rent control law. More than 588,000 signatures have been gathered, far more than necessary to qualify for the ballot, they said. The initiative is called the Affordable Housing Act, and would eliminate a main legal obstacle that keeps local communities from enacting tougher rent control measures. Currently, Costa-Hawkins, as the rent control law is known, prohibits municipalities from setting limits on rent increases on single-family homes, condos and apartments built after 1995. “This is our time to show the California legislature that if they’re unwilling to take leadership on protecting tenants from rent gouging and skyrocketing rents – we as the people will,” the coalition said in a Facebook post. Sacramento has been especially hard hit by rising rents in the state. In 2017, rents increased 7.4 percent over the prior year in Sacramento, the third highest increase of any metropolitan area in the nation. From June 2016 to June 2017, Sacramento had the highest year-over-year rent increases in the nation, an average increase of 9.9 percent. Between 2000 and 2015, the median rent in Sacramento County increased 18 percent, while incomes decreased by 11 percent, according to the California Housing Partnership.